From early spring to fall’s first frost, from early morning coffee to patio parties, our wonderful weatherproof hanging chair Moorea is the ideal companion. 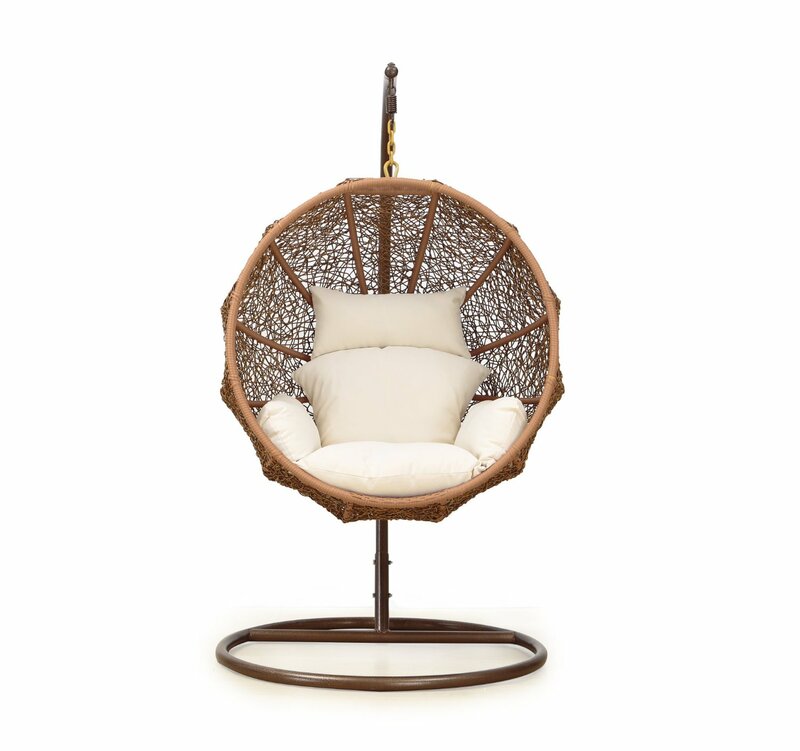 This all-weather swinging lounge chair with stand is made using a woven resin wicker material which is UV-protected, preventing fading and wear. The structure itself (the stand and the chair frame) is constructed from sturdy yet beautiful, weather-resistant material. 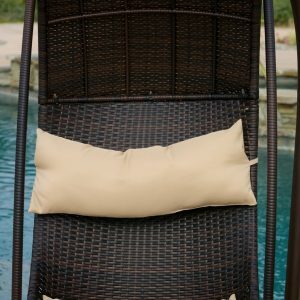 The pillow and the body cushion, which are a beautiful tan color, are made of polyester fabric and fill. All the tools you need to put it together are included with the pieces. The basket’s dimensions are 56″ x 28″ x 37.50″, and it can safely hold up to 250 pounds. And, perhaps most importantly, this chair allows a comfortable lounge position. This chair possesses all the qualities most of us look for in a spouse: it’s beautiful yet strong, and practical yet luxurious. When you hear the phrase “weatherproof steel,” the first thing that comes to mind is prison shackles or the rust-eaten chains holding up some abandoned bridge in the middle of the hiking trail. Needless to say, I was afraid that something so resilient would become an eyesore. But GDF Studio turned this strong, weatherproof material into a thing of beauty: rather than sitting on my porch like a hardened war veteran, this chair softens the entire yard! 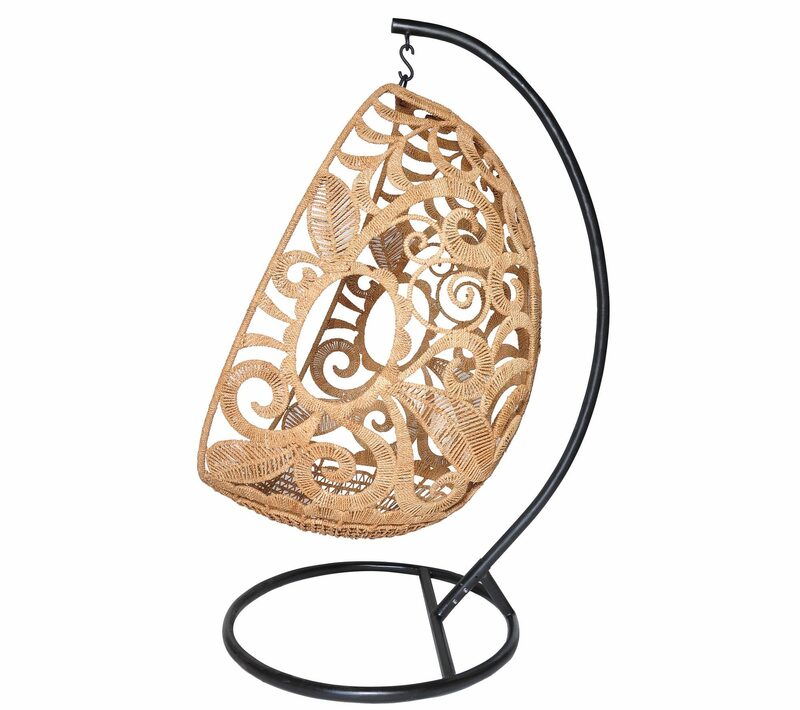 The teardrop-shaped basket is peaceful, elegant, and delicate in appearance that it can make any room look more stylish. But of course, I did not buy the chair to look at it: this thing is almost too comfortable. So comfortable that it has started to hurt my productivity. Every time you sit down, the luxurious cushion hugs your body without totally swallowing you whole– like Baby Bear’s “just right” armchair, it’s not too soft and not too firm. I can lie back in a comfortable lounge position and the plush pillow is height adjustable, so it supports your head and neck instead of pushing your skull forward and creating a crick in your neck. The vertical bar is ideal for installing a cup holder. As someone who is always carrying smoothies or bottles of tea around the house, the cup holder on the side was a big win for me! I recommend this one cause it is big enough to hold most beverage containers. It’s beautiful, it’s sturdy, it’s comfortable, it’s easy to assemble. My chair has been through several rain storms at this point, and none of them have done anything to damage its beauty– the cushions are still a pretty, uniform tan color, and I’ve seen no evidence of rust or discolored wicker. For me, personally, the only issue with this chair was its packaging: some of the smaller pieces were just rolling around in the box, so it took a while to find them all. That being said, no product is perfect, and this chair has one weakness that might be deal-breakers for other potential buyers: firstly, it has a weight capacity of just 250 pounds. While this isn’t a problem for my family, a couple of our friends were pretty bummed out that the chair wasn’t meant for lap-sitting (unless you’re both very skinny!). If you wanted a chair designed for cuddling, you need something bigger and stronger. 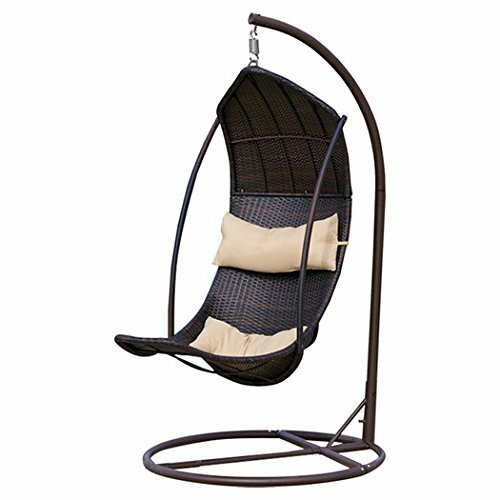 I recommend this product to anyone looking for a comfortable, practical outdoor swing lounge chair with stand. 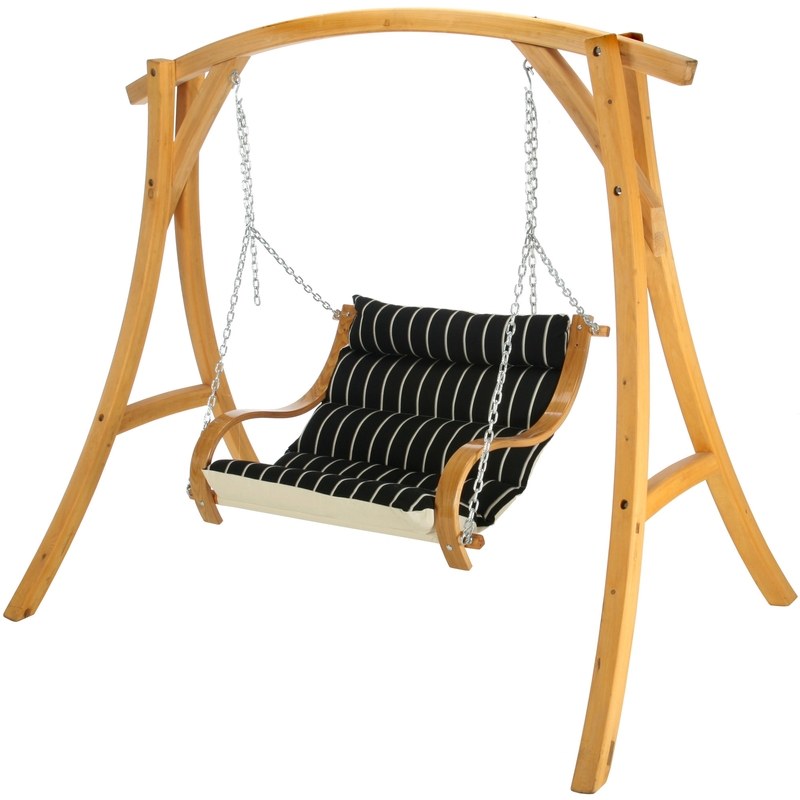 I love mine, and I am legitimately concerned that, someday in the future, I am going to sink into the bliss of my weather-resistant outdoor swing chair and never get up again. 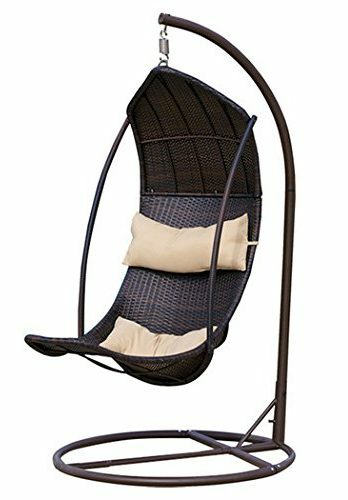 While most of the other products are hammock-like swings, there are a few comparable chairs which are perfect for your garden or patio.